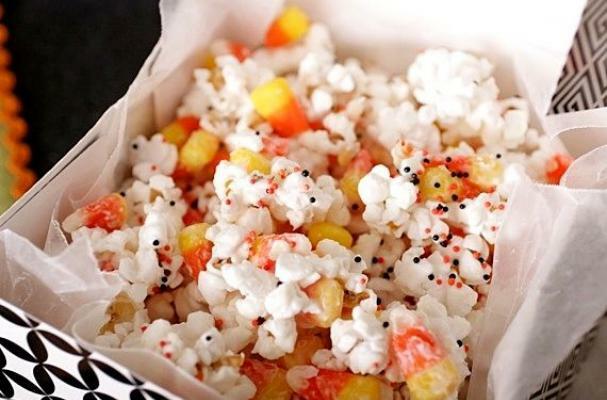 Halloween Popcorn is a candy corn confection. The treat, made by blogger Sing For Your Supper, is an easy make for your ghoulish get together. Just pop some popcorn, melt some white chocolate candy coating and add your favorite Halloween treats. Check out the full recipe here. For another quick Halloween treat, check out how to make candy corn on the cob.